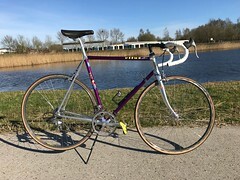 I've just picked up a gorgeous 1980 Gazelle Jeugd Race bike. This 46 cm framed road bike with 24" tubular wheels is in a nice condition and will make a beautiful retro racer for one of my kids. The problems are: they don't ride that much and there are already several nice (retro and newer, road and MTB) kid bikes in my garage. On top of that: my son, who rides with my every now and then, is slowly getting too large for a road bike with 24" wheel size. 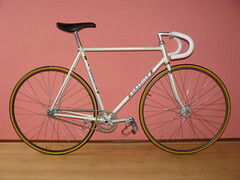 But if I get the opportunity to buy such a lovely bike, I cannot resist. I will clean and restore it and see if the kids will ride it. Otherwise, someone else can do his junior a big favour. Frame and fork: Full Reynolds 531c. Stem: SR (?) 6.5 cm. 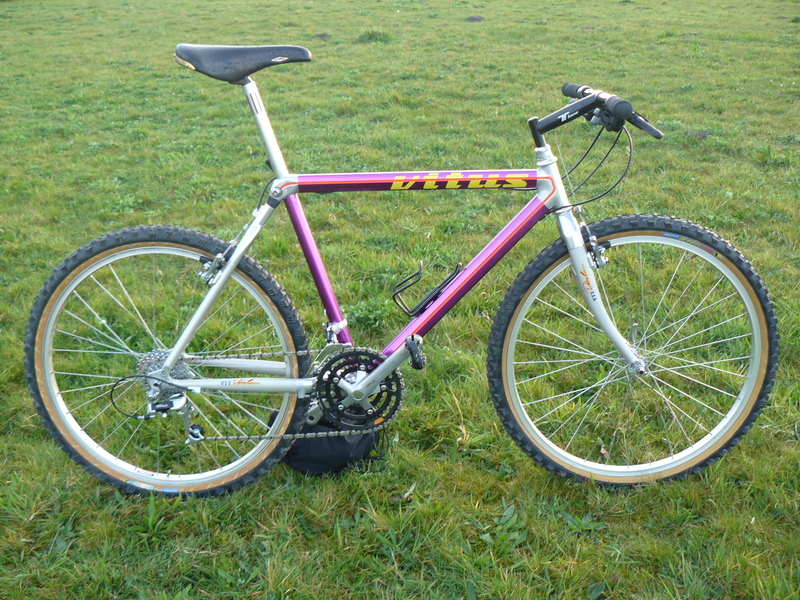 Seat post: aluminium 27.2 mm. Cranks: Ofmega 150 mm. w. steel ring 48T. BB-set: Sugino cups, Shimano axle 116 mm.